Scale insects (Hemiptera) on night blooming cereus (Epiphyllum oxypetalum), also called, Dutchman's pipe cactus or Night Queen. Although most problems associated with cacti and succulents grown as houseplants are bacterial or fungal diseases caused by overwatering, they do get the occasional insect pest. The most common pests are scale, mealy bugs and root mealy bugs. Less common pests include spider mites and fungus gnats. Control of these pests is difficult because they are small and hide in places that make them hard to see, because they have a cottony or hard covering to protect them or because they have developed a resistance to insecticides. 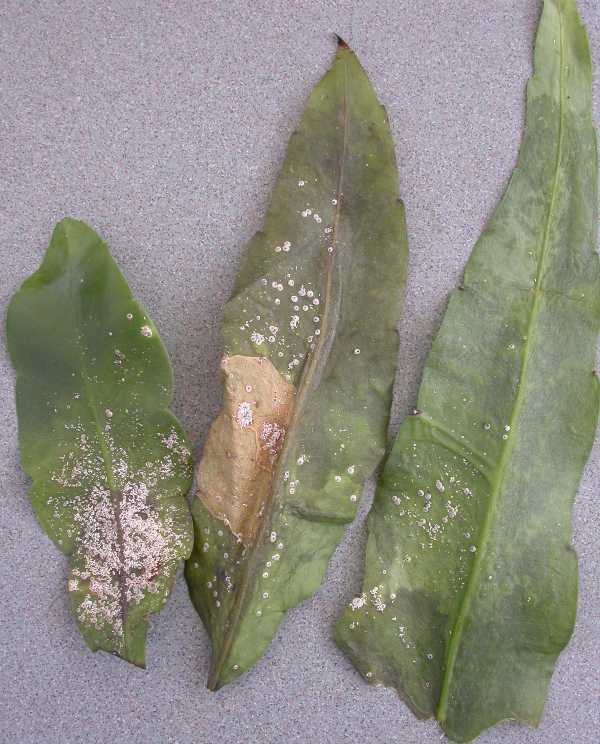 Mealybugs and scale both damage plants by sucking plant juices resulting in plants that are weak with wrinkled, shriveled leaves. Severe infestations may result in the death of the plant. Often the first symptom of a problem is stickiness or black mold on or near the plant. More careful examination will reveal the actual insect. 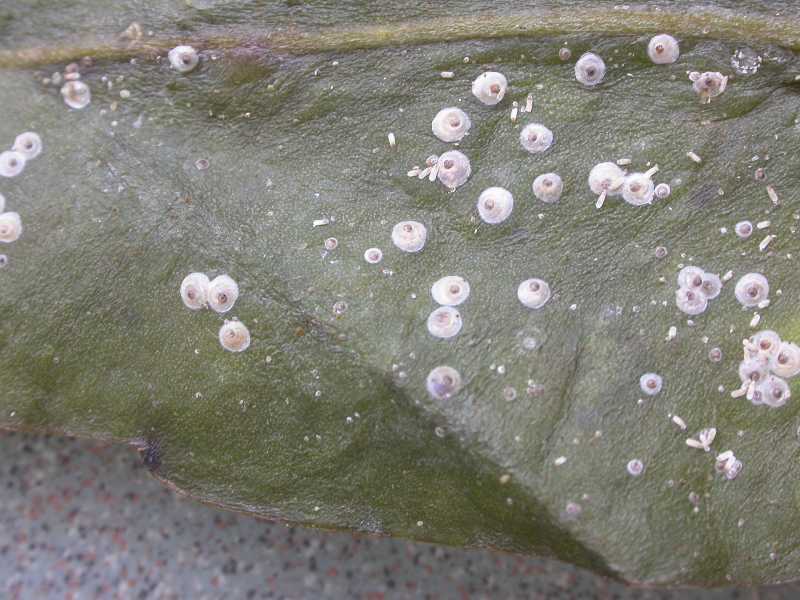 Scale insects resemble small cottony or dome-shaped shells. They are attached to stems and leaves but can be scraped or pried off. 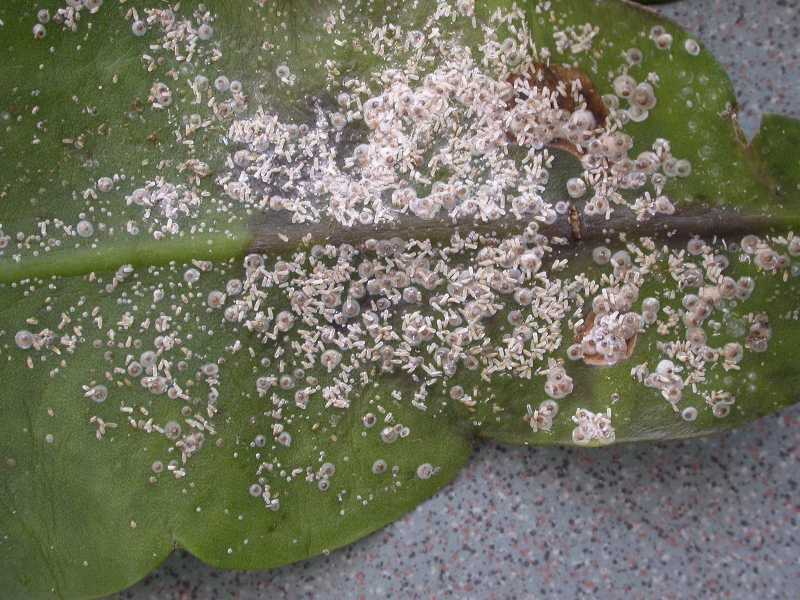 Mealybugs are 1/5 to 1/3 inch long, and have a waxy, white, cottony appearance. They are slow moving and usually are in clusters along leaf veins or spines, on the underside of leaves, and in hidden areas at joints. 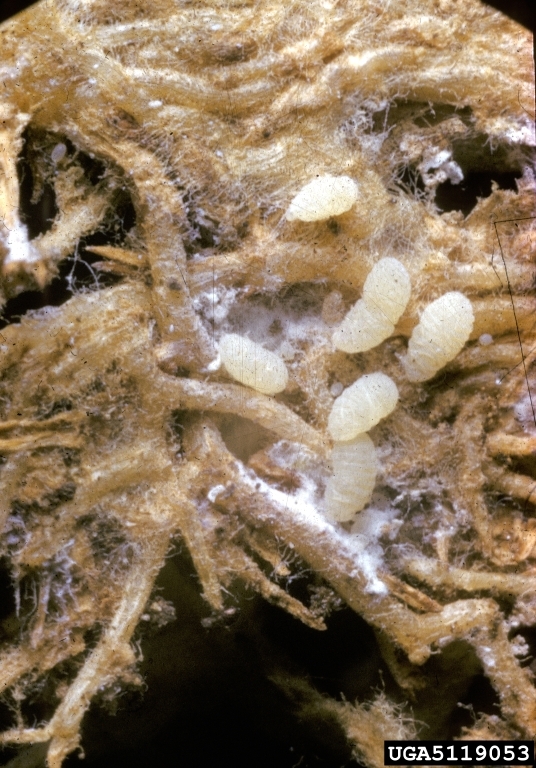 Root mealy bugs live in the soil and look like white deposits on the roots. In addition to the damage caused by sucking juices from the roots, root mealy bugs make the plant more susceptible to rot from bacterial and fungal infections. Fungus gnats are 1/8 to 1/16-inch long black flies that resemble mosquitoes. They are most often seen hovering above the soil surface. Adult flies do not cause any damage but the larva live in the soil consuming organic matter and roots. Large plants are usually not affected by the root damage but seedlings may be stunted or killed. Spider mites also damage cacti and succulents by sucking the plant’s juices. The first sign of spider mites is usually webbing and small brown dots, especially on younger growth, where the plant's epidermis has been damaged. Spider mites are very small, only about 1/50 of an inch long, and will look like dust when the affected area is tapped over a piece of paper. 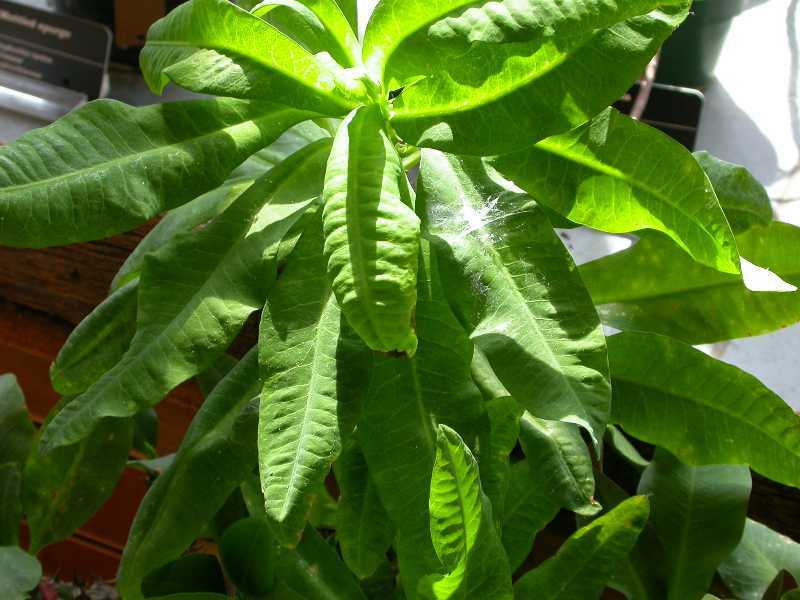 Mealybugs, Scale, Spider mites and Fungus gnats. 1. Practice good cultural techniques. A healthy plant is better able to overcome insect damage. Be sure to grow your cacti and succulents in the conditions recommended for the species including proper sunlight, water and drainage. Practice good hygiene by keeping the pots free of dead leaves and spent flowers. 2. Quarantine new plants. To ensure that you do not introduce pests to your healthy plants, check new plants carefully and quarantine them until you are sure they are pest-free. If you do find pests on new plants, treat the problem immediately or discard the plant. 3. 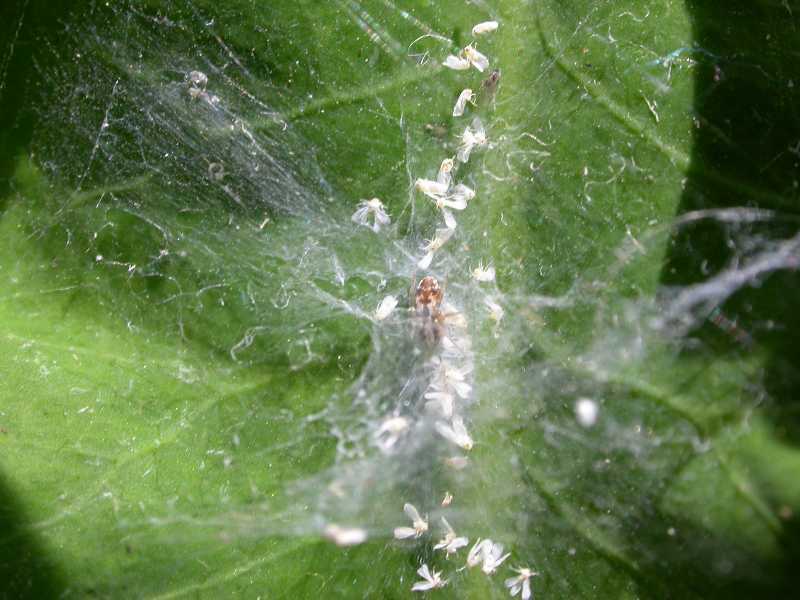 Wash mealybugs and spider mites off the plant with a strong stream of water. Cover the soil in the pot to prevent overwatering or to keep the soil from washing away. Spider mites are most troublesome in spots with low humidity and poor ventilation. Root mealy bugs may also be washed away if they are noticed on the roots when repotting the plant. 4. Remove mealybugs and scale using cotton swabs dipped in alcohol. Spraying the plant with a dilute alcohol solution (1:3) may help control pests that are not easily visible but the solution may damage the epidermis of sensitive cacti and succulents. Test a small area before spraying the entire plant. 5. Use yellow sticky traps to control adult fungus gnats. 6. Use insecticidal soap but be aware that it may damage some plants. Cacti have oils and waxes that may make them susceptible to damage from the soap. Be sure to read the product’s label to see if it is safe for your plant. It is a good idea to test a small area of the plant before spraying the entire plant. 7. Use insecticides such as Neem or pyrethrins. Always check the label to be sure it is safe for your plant. 8. Use a systemic insecticide such as imidacloprid or acephate to control pests that are not easily accessible to sprays. Be sure to read the product’s label to see if it is safe for your plant. 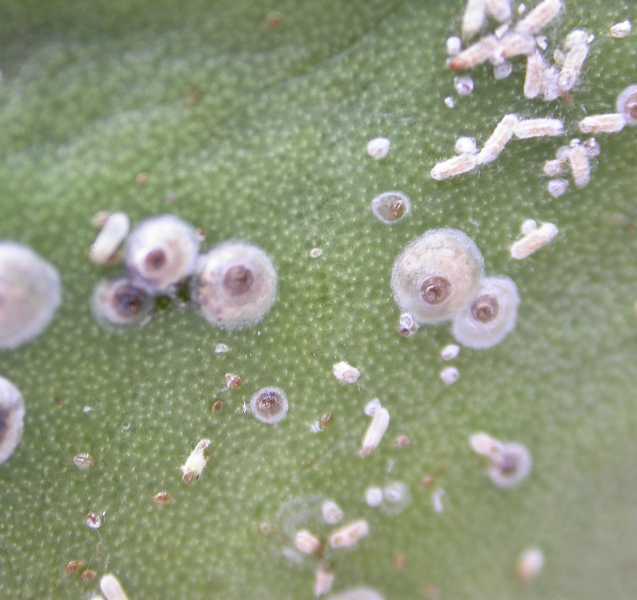 Close-up of scale insects (Hemiptera) on night blooming cereus (Epiphyllum oxypetalum), also called, Dutchman's pipe cactus or Night Queen.